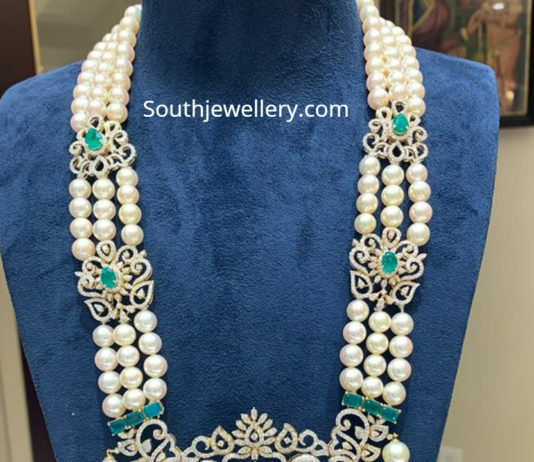 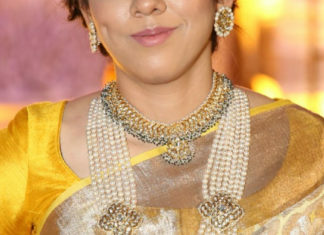 22 carat gold uncut diamond choker and multi strand south sea pearl mala with polki side pendants paired with polki studs by Kishandas & Co Jewellery. 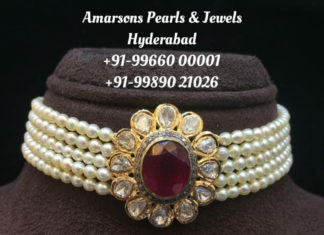 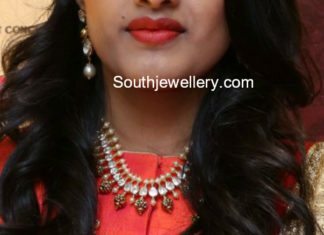 South sea pearl choker with pendant studded with uncut diamonds, diamonds and ruby by Amarsons Pearsl & jewels. 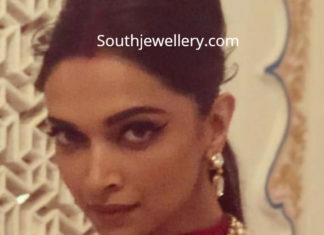 Deepika Padukone a layered necklace adorned with south sea pearls and polki diamonds paired with polki diamond earrings. 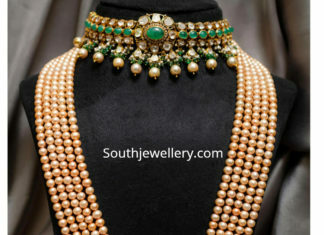 Layered pearl mala with side motifs studded with diamonds and emeralds by Navrathan jewellers. 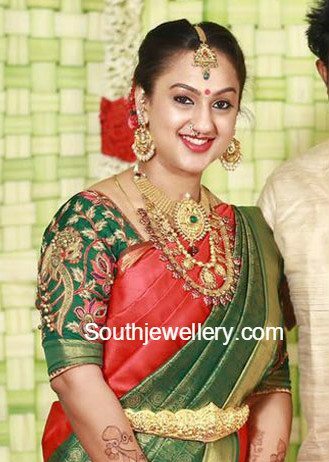 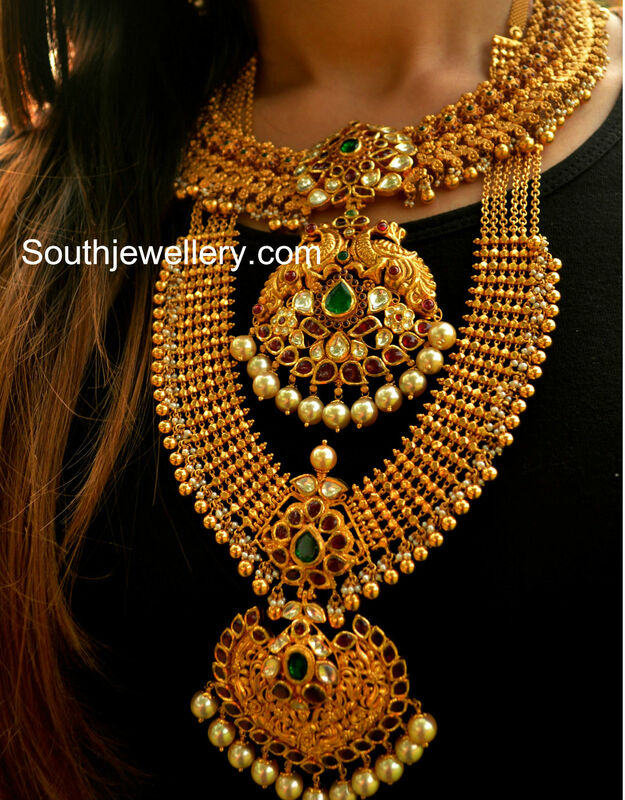 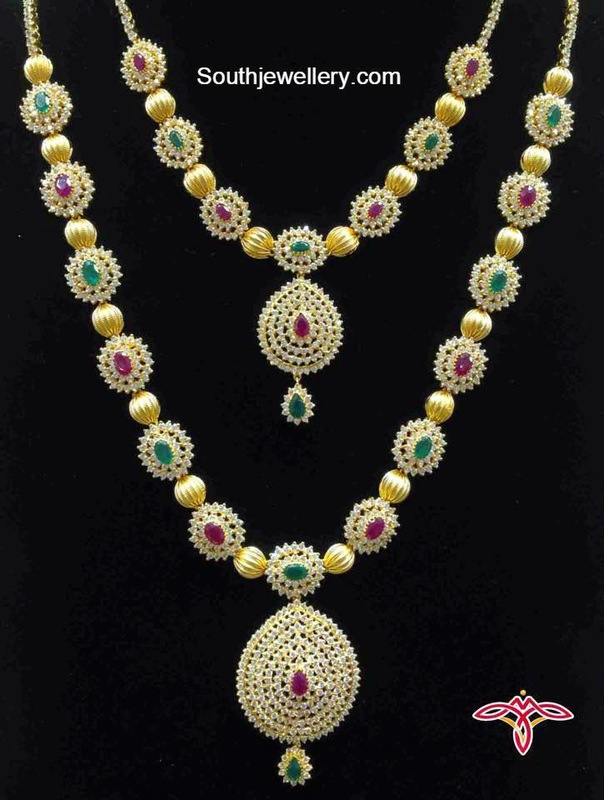 Polki diamond nakshi necklace and long chain from Kalasha Fine jewels, Hyderabad.